It’s been a long time since Jeff Bezos looked into a camera and promised me that my stuff was going to arrive by drone. The road to launch of the Amazon Prime Air drone delivery service–one that could deliver packages of up to roughly five pounds, which is around 86% of Amazon’s business–has been filled with road blocks, and it’s hard to believe that it’s all in the country’s best interest. It has often sounded like there might be more than a few over-the-road shipping companies gunning to not lose out on the current profit that Amazon’s current shipping methods generate. But that’s not the concern of the FAA, who has placed the limitations on Amazon’s testing, limitations that the agency revised only last week. While the new limitations still have some pretty useless restrictions that will keep Prime Air from really working–restrictions like requiring the drone to remain within the line of sight of the operator, making it more like a remote controlled toy airplane than a genuine drone–the agency has long said it is erring (make that, airing) on the side of caution. Drone technology is relatively new, especially to the commercial and private citizen sectors, and the FAA cannot envision a free-for-all in the skies where drones clog US airspace. Amazon fired back against the restrictions with the news that it has already begun drone testing in other countries, which led to the FAA relaxing its grip somewhat and approving limited testing. Unfortunately, the agency took so long in doing such that the drone it approved for testing was no longer even in use by Amazon, who’d moved on to better technology while waiting for the approval. The April 8th announcement, though, allows Amazon to test its latest drones in the US, but with those stringent restrictions in place. 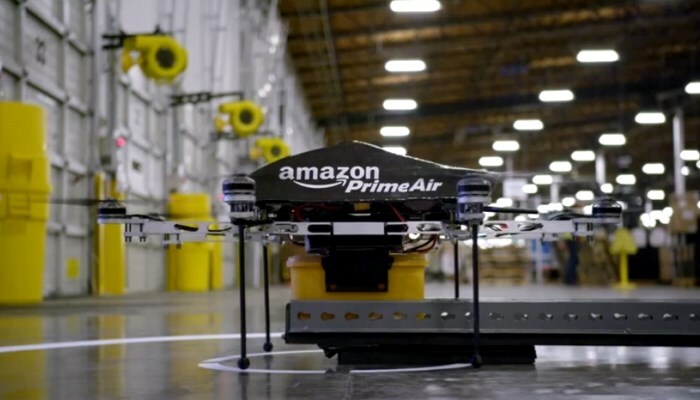 If the pattern continues in the way its gone for the retailer so far, drones will be entirely obsolete by the time the FAA approves the full implementation of Amazon Prime Air. I have been reading a lot of research since I first read this article about companies such as Amazon and Walmart using drones or “quadcopters” for indoor logistics. The only controversial issues I have read is FAA regulations regarding outdoor operation. Hobbyists seem to be looking for the best quadcopter that he or she can operate with a camera that can be used outdoors for leisure and digital streaming. I think indoor use of the drone will be fine but for outdoors, a pilot or operator will probably have to keep checking the FAA regulation updates.